Perfect to emphasize a winter white outfit. 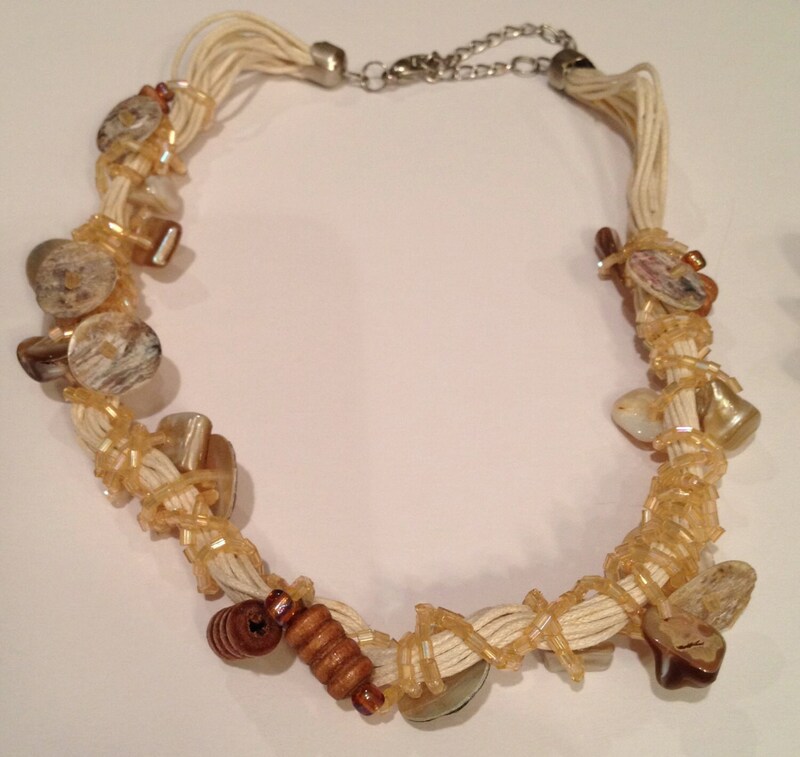 Shell, buttons, wood, glass beads and multiple off-white fabric threads intermixed to create a natural-look necklace. This necklace measures 14" long (adjustable up to 17" ). The clasp consists of a steel spring-hook and eye. This necklace has a matching bracelet.